Bicycle accidents can be caused by many things. Often, the cause of the accident is not the bicyclists themselves. Riding a bicycle is a wonderful activity. It can help one burn calories while traveling quickly. For some distances, it can be a way to get away from the traffic of Southern California. While it’s fun and healthy, it can be dangerous. There are dangers associated with riding a bicycle, as you’re essentially defenseless on one. Should you be injured in an accident with a bicycle, make sure to call for medical help immediately. Bicyclists understand that they don’t have the defense that a car does. There’s not nearly that kind of armor or anything like an airbag in a bicycle. When you’re on a bicycle, you’re on your own. Sometimes, unfortunately, drivers don’t see them. Bicyclists always have to be aware, but they can’t maneuver the same way as a truck or car can. Many bicycle accidents are caused when the drivers of trucks and cars don’t see them. This can cause an accident not matter how alert and adroit the bicyclist is. Southern California has many marked bike lanes. That’s where the bicyclists know they can take their bikes. However, people still walk through them. Crowds can occur basically anywhere, and that’s where the bicyclists can really get into trouble. It’s easy to get into an accident because you tried to avoid pedestrians or the streets were just crowded. 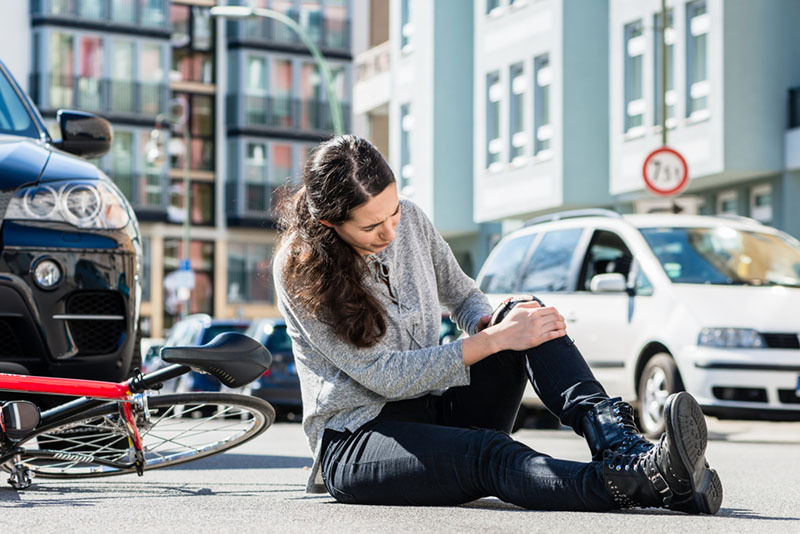 When you’re in any of these bicycle accidents, it’s important to get legal representation, especially if you think you’re entitled to damages. Bicyclists are at the mercy of road conditions in a way that even cars might be. Even with a mountain bike, cracked or uneven roads can be a real problem for bicyclists. Should you be in bicycle accidents caused by poor roads, pavement or potholes, you’ll want to contact legal representation so that you get what you’re owed. “Road conditions” does not just pertain to the roads themselves. If you’ve been in an accident due to a road sign that was out or inadequately maintained, you need to get legal help. It’s necessary that all bicyclists wear a helmet. This is an example of a good law: it keeps everyone safer without being obtrusive. However, sometimes bike helmets can be defective. When that happens, the wearer is more susceptible to being injured. Should you be in an accident that’s caused by a defective or otherwise failing bicycle helmet, you need to do something about that. By getting a lawyer involved, you can not only get the money you’re owed; you can force the helmet manufacturer to do something about it. The LA Injury Group can help with any case that may stem from a bicycle crash. When you’re laid up in a hospital, recovering from your accident, they can be out investigating the crash, taking on the insurance company, and working towards getting you what you deserve. For more info, go to their website or call (888) 500-1006 after your bicycle accidents.